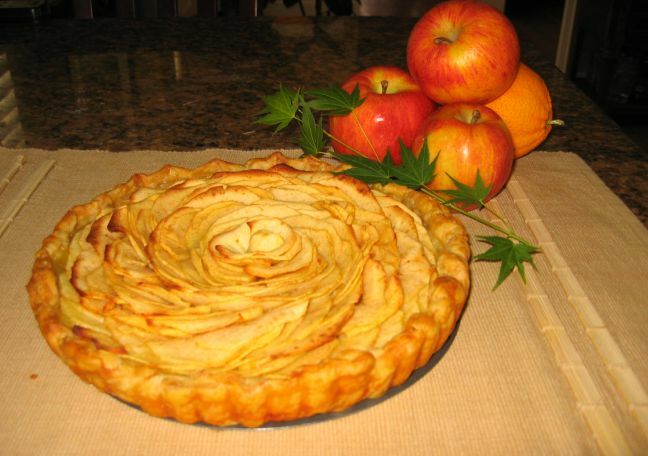 This is a really classic Tarte aux Pommes. 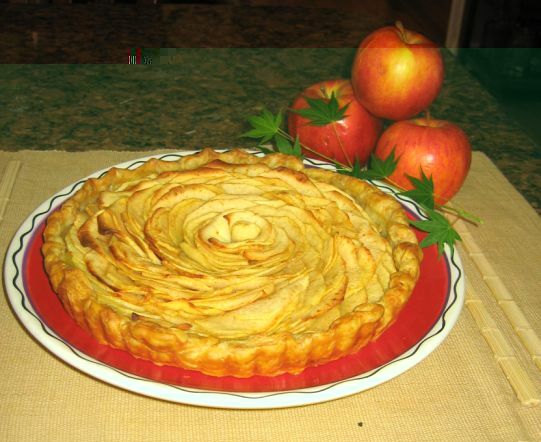 You will find this classic tart at any French bakery in France because they are really easy to make and they also very tasty. 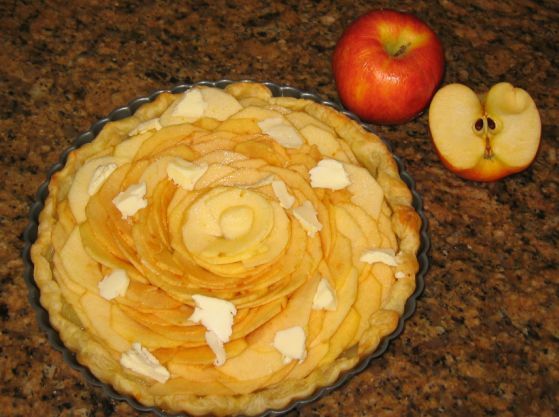 This is the same apple tart but I use a rectangular mold. 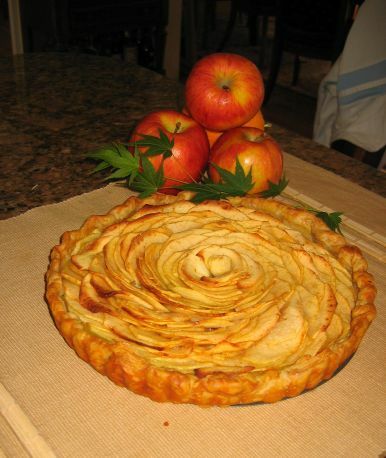 I lined my mold with Puff Pastry (store bought). 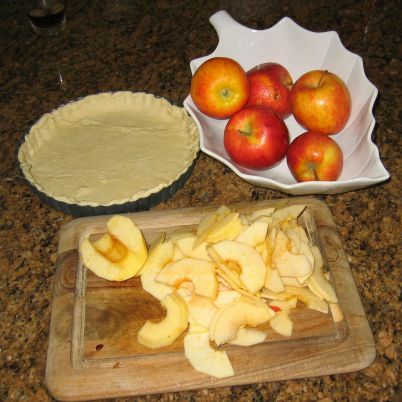 I used Gala apple because they are sweet and tart and the same time. 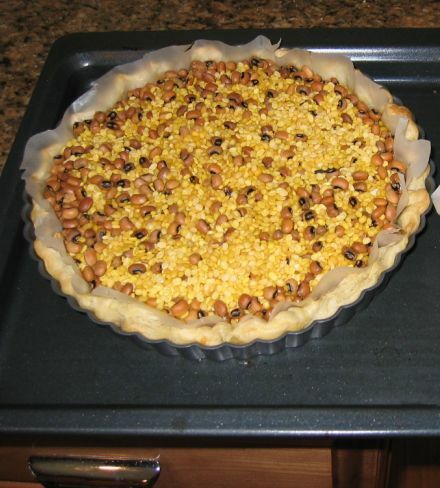 I used beans as weight so that the crust will not puff up. The crust is baked. Noticed the side of the crust has more color. 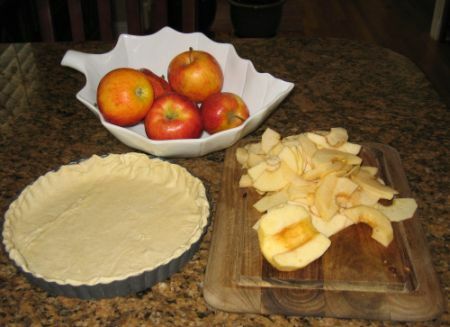 The reason you want to bake the crust first is because you do not want it to be soggy when you add the filling. 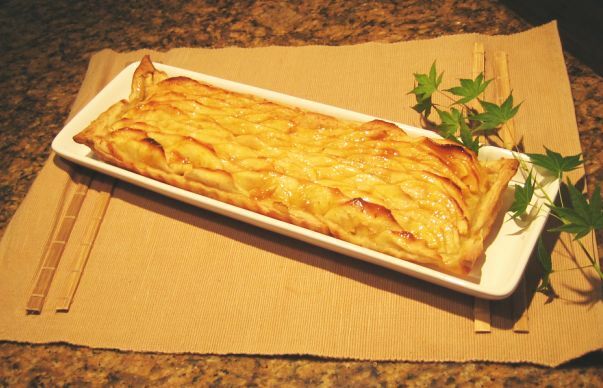 Once the crust is baked, I filled it with apple sauce, lined the sliced apples, sprinkle a little sugar on top , and added a little butter so the top will caramelized. 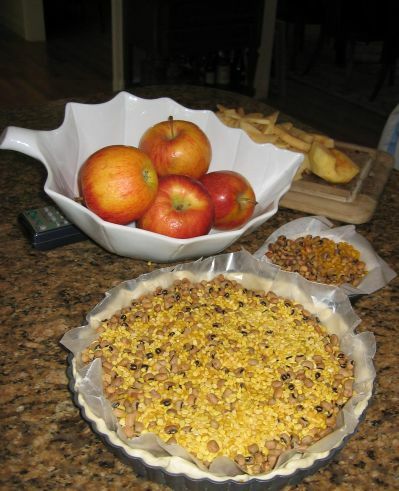 The tart will go back in the oven for another 20/30 minutes.